If the names Ryder, Chase, Marshall, Rocky, Rubble, Zuma, Skye, and Everest are familiar to you, then I’m guessing you have kids in your life. Paw Patrol has been a topic of conversation, regular on our TV, and a frequent a play time for the past two years. My twins LOVE Paw Patrol, and even had a Paw Patrol Themed Birthday this past January. You can see why we are so excited for the Paw Patrol Live! Tour that is hitting the road! That’s right, the hit animated TV series on Nickelodeon is leaving Adventure Bay and coming to a city near you! An adventure packed show for all ages, with lots of lessons snuck in. As a parent, I appreciate when my children’s favorite characters approach age appropriate topics and open conversations for me to have with my kids. PAW Patrol Live! “Race to the Rescue” brings everybody’s favorite pups to the stage for an action-packed, high-energy, musical adventure. When Mayor Goodway goes missing during the day of the Great Race, the pups come to the rescue. 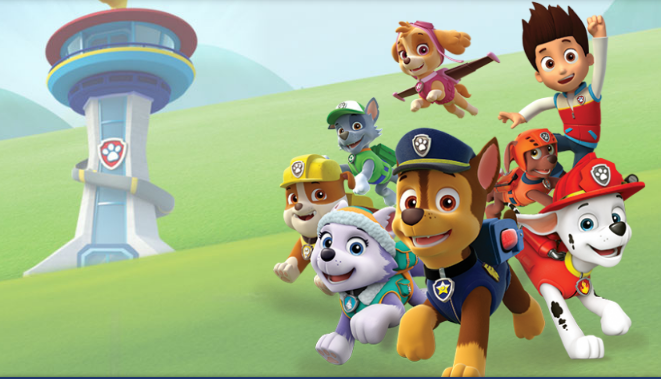 “Race to the Rescue” shows that “no job is too big, no pup is too small,” and shares lessons for all ages about citizenship, social skills and problem-solving as the characters each use their unique skills and teamwork. Paw Patrol Live! includes two acts and an intermission and I’m pretty sure there won’t be a dull moment. How can there be when you have things like innovative costumes that bring the pups to life on stage WITH their vehicles and packs during the all-important rescue mission. Be prepared for some dancing in your seat to up-tempo music and be wowed with a high-tech video wall that visually transports families to popular locations from the TV series, like Adventure Bay, The Lookout, Seal Island, Farmer Yumi’s Farm and Jake’s Mountain. Plus, during the show, guests have the opportunity to participate in the adventure and become a part of the PAW Patrol Cheer Team! How awesome is that?! 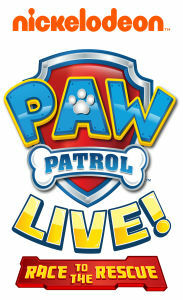 For more information, visit PawPatrolLive.com, where you can also sign up to receive PAW Patrol Live! Tail Mail with tour updates and other ticket information.